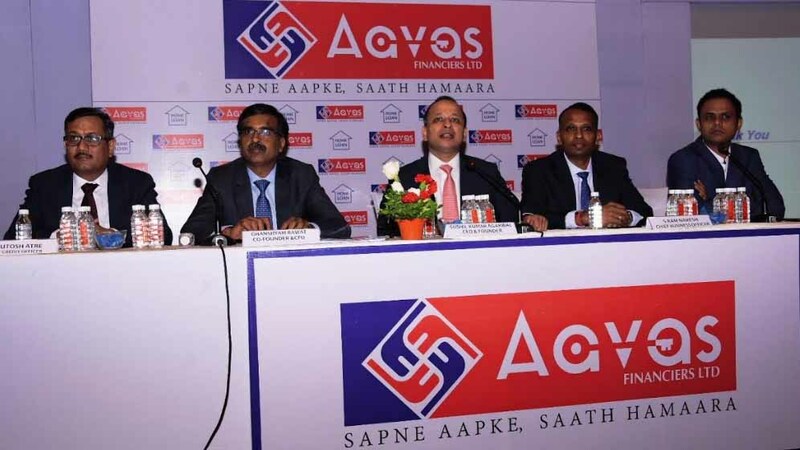 Jaipur : Aavas Financiers Limited proposes to open on September 25, an initial public offering of equity shares of Face Value of Rs. 10 each for cash at a Price per Equity Share comprising a fresh issue of up to Equity Shares aggregating up to Rs. 4,000 million and an offer for sale of up to 16,249,359 Equity Shares including an Offer For Sale of up to 8,815,439 Equity Shares by Lake District Holdings Limited, up to 4,281,907 Equity Shares by Partners Group ESCL Limited, up to 236,339 Equity Shares by Kedaara Capital Alternative Investment Fund – Kedaara Capital AIF 1, and up to 1,879,110 Equity Shares by Partners Group Private Equity Master Fund LLC and up to 911,564 Equity Shares by Sushil Kumar Agarwal and up to 125,000 Equity Shares by Vivek Vig. The Bid/Offer Period will close on September 27, 2018. The Price Band for the Offer is from Rs. 818 to Rs. 821 per Equity Share. Bids# can be made for a minimum lot of 18 Equity Shares and in multiples of 18 Equity Shares thereafter. The Equity Shares are proposed to be listed on BSE and NSE. The Global Co-ordinators and Book Running Lead Managers to the Offer are ICICI Securities Limited, Citigroup Global Markets India Private Limited, Edelweiss Financial Services Limited and Spark Capital Advisors Private Limited. The Book Running Lead Manager to the Offer is HDFC Bank Limited. *Our Company and the Selling Shareholders, in consultation with the GCBRLMs and BRLM, may consider participation by Anchor Investors, in accordance with the SEBI ICDR Regulations. The Anchor Investor Bidding Date shall be one Working Day prior to the Bid/ Offer Opening Date i.e., Monday, September 24, 2018. The Offer is being made in terms of Rule 19(2)(b) of the Securities Contracts Rules, 1957, through the Book Building Process and in compliance with Regulation 26(1) of the Securities and Exchange Board of India Regulations, 2009, wherein not more than 50% of the Offer shall be allocated to Qualified Institutional Buyers, provided that the Company and the Selling Shareholders may, in consultation with the GCBRLMs and BRLM, allocate up to 60% of the QIB Category to Anchor Investors on a discretionary basis in accordance with the SEBI ICDR Regulations, of which one-third is to be reserved for domestic Mutual Funds, subject to valid Bids being received from domestic Mutual Funds at or above the price at which allocation is made to Anchor Investors.